Blogs or websites are useful for storing content containing information that can be shared with all Internet users throughout the world. There are many types of blogs or websites that contain various content such as news, sports, online stores, services, social media, companies, and so on. Now making your website or blog easier and anyone can create a Blog or Website. First Blogger or also known as blogspot is a site owned by Google, this site is popular among Blogging. It has a lot of users and it's easy to register just using Gmail Email. Blogger is very easy to use for beginners who do not understand HTML coding besides the features to manage Blogs are very easy. Another advantage of Blogger is that it provides unlimited capacity, so users can create as much content as possible. And other features are easily indexed on Google Search. 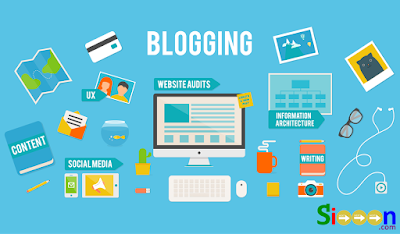 There are many who have Blogs from Blogger, no need to worry because there are so many guides on how to set up a Blog from Blogger. You can search on Youtube or search through the Google Search Engine. Next is Wordpress almost similar to Blogger, one of the recommendations for beginners who want to blind Blog / Website. WordPress prioritizes many plugins that make a Blog / Website can be modified as attractive as possible. In addition, templates on WordPress vary from simple to colorful. But for the premium version all paid. But to register and use the standard template, it's free of charge. The Wix site offers professional website development with a shorter domain. How to set up a website on Wix is ​​very easy, just drop and drag it. But the drawback is that there are not too many features of this blog. But for convenience and plugins to vary, users can directly use Wix by creating content without the need to think about storage because everything has been provided by Wix. One of the sites providing Blog / Website is Weebly, has been around for a long time and is an alternative to create a Blog / Website. Weebly also offers a lot of tools to create more interesting Blog / Website content and views. Lots of online sellers who make sites for their stores on Weebly. Finally, Penzu has an attractive appearance, but this site is specifically for personal. Examples are making diaries, experiences, life stories, or various daily activities. But even so Penzu has many users because he is interested in creating content in Penzu and various with other users. There are also some who make Blog / Website in Penzu for promotion. If interested in creating a Blog / Website can directly visit the site.